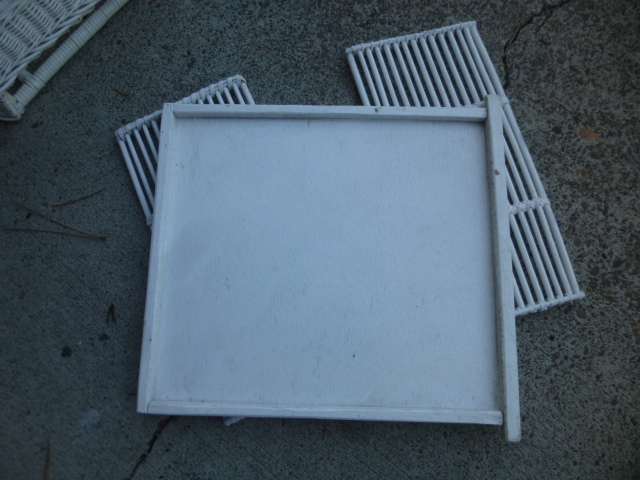 Gotta LOVE finding items that don’t need any work done to them! 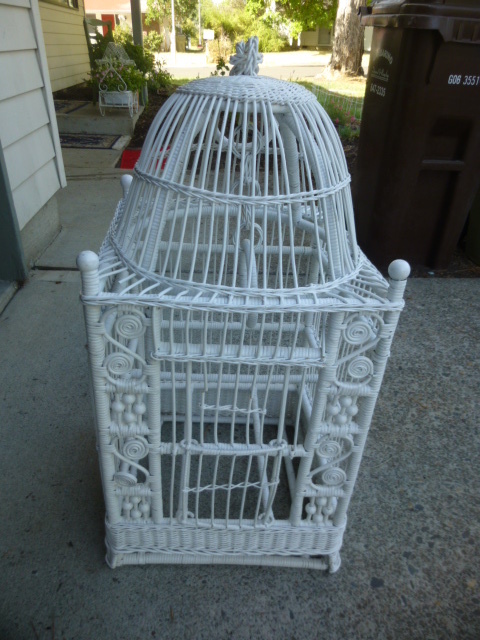 Check out this huge white wicker bird cage I just picked up. Measures 14″ x 14″ x 30″ tall! All it needed was a good hosing down to remove the dust. The bottom slides all the way out, as do what I originally thought were 2 ‘shelves’; since they were placed at different heights in the cage when I bought it. 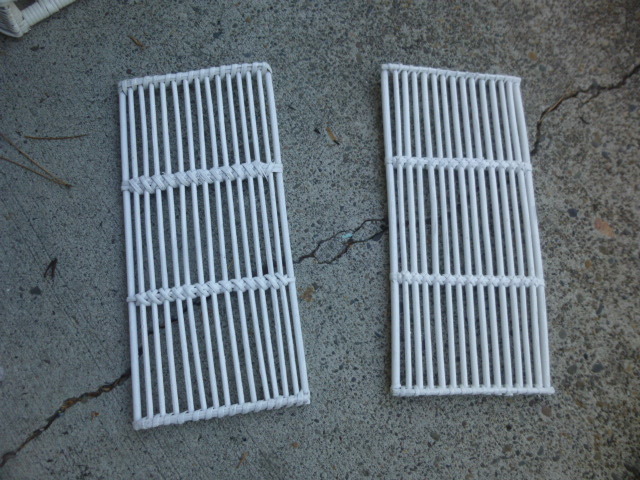 When putting it back together after it dried, I realized that BOTH of these were ‘floor grates’ and meant to be placed side by side at the bottom of the cage; and NOT 2 shelves, as they had been displayed in the thrift store. DOH! 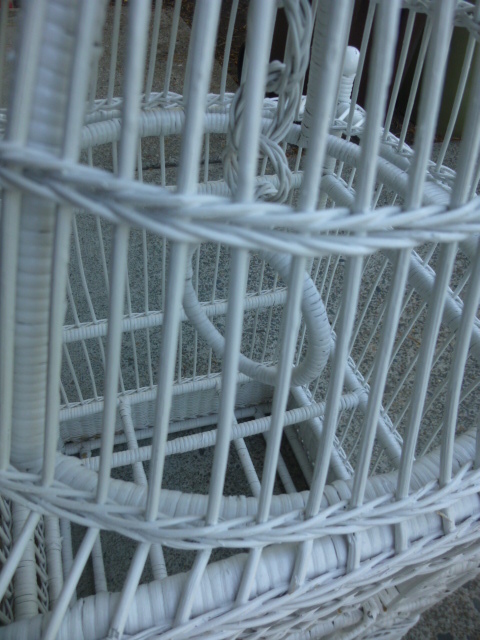 Took this cage to Stars just in time for the BIG SALE, which runs through Monday, March 7th. EVERYTHING in my booth is HALF OFF during the sale!